A quiet moment in the bridal getting ready room of Old St. Mary's in Milwaukee, Wisconsin. 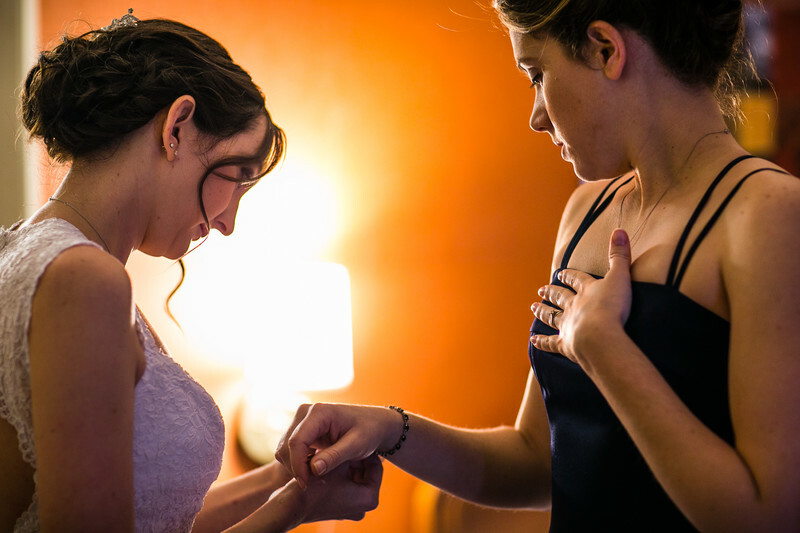 The bride is placing a bracelet on one of her bridesmaids wrists that she gave her as a gift for being in the wedding. 1/60; f/2.0; ISO 800; 85.0 mm.